India has been starting to show up at international motorsport events. After TVS announced their official entry into the world’s most dangerous rally, Hero MotorCorp has also announced its participation. The team will be known as ‘Hero MotoSports Team Rally’. Dakar Rally is known worldwide for its unforgiving nature. The participants have to go through extreme weather conditions and only a few can complete all the stages in the rally. Hero MotoCorp has teamed up with German off-road specialist called Speedbrain GmbH. The team will use a heavily upgraded motorcycle, Speedbrain 450 for the Dakar rally. 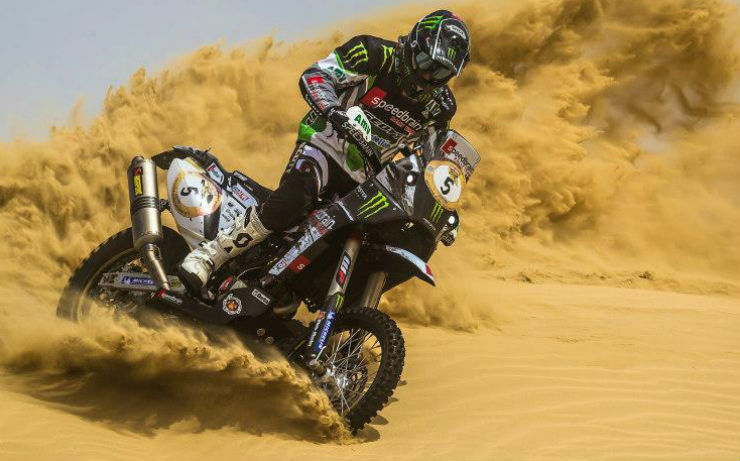 Team riders will be comprised of CS Santosh, who has experience of the gruesome Dakar Rally since last two years. He will be accompanied with Joaquim Rodrigues from Portugal, who has never participated at Dakar but has a vast experience in rallies. The team paired for testing and is participating in a lot of rallies around the world. The team tested their skills at Afriquia Merzouga Rally earlier this year where Rodrigues finished at 9th spot while Santosh came 16th. The team will also compete in Oilibya Rally in Morocco before participating in Dakar rally that starts in January 2017.